Sadly, even after 23 years of experimenting with skincare (Ok, I wasn’t doing this since I was a baby, maybe the past 10 years?!) I still haven’t found the prevention for blemishes. Many brands have tried to find the coveted elixir that will prevent us from breaking out, but unfortunately this holy grail of skincare has yet to come to market – or at least one that works with my skin! So what this does mean however is that I’ve refined the products which I use to cover up said blemishes; here are my top three products! For when your skin is a little bumpy, no major in your face blemishes but rather just an area of agro, you need a creamy concealer that gives plenty of coverage, but doesn’t cake up. I usually find that my skin gets in this state when I’m stressed, and haven’t used my Clarisonic enough! Drinking lots of water will help to flush the toxins out of your skin, but for a short term fix, try a concealer like the Clarins Instant Concealer. It’s actually designed for the under-eye area, and while I love it for the use that it’s intended for, I also find myself more often than not using it elsewhere to blend flawlessly any over little imperfections. Skipping over to the other side of the picture, another Clarins product is my go-to for when there’s a blemish thats rather more…. in your face. On your face. You know what I mean. Yes the texture of the Clarins Concealer stick mean it is cakey by nature, but when a blemish desperately needs coverage, you need to bring out the big guns. Unlike many concealer sticks which I’ve tried in the past, the formula is very softly textured so you don’t end up with splodges of different textured skin. Because it’s so soft, you can also use it as an under-eye concealer too. One of the most important steps when covering up blemishes, is to set the concealer. You might have created a flawless, blemish free base, but if it slides off a few hours later then all your hard work will go to waste! 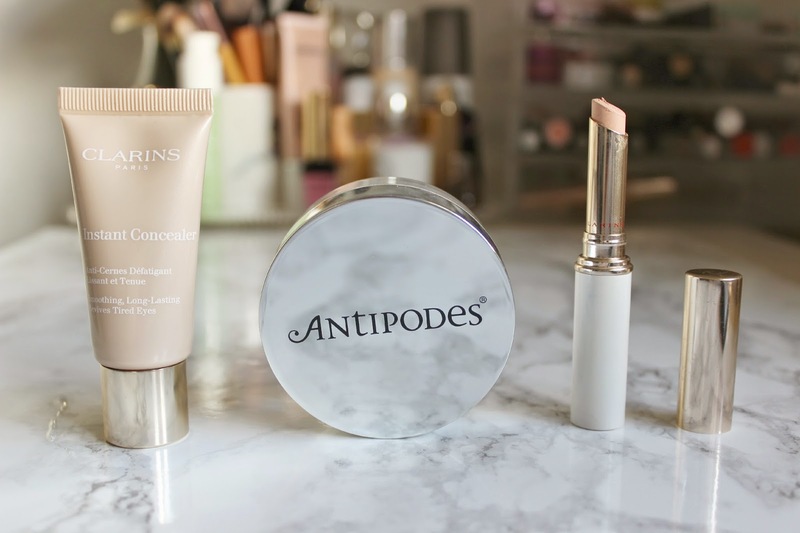 You don’t want to add another layer, so choose a lightweight powder to set your makeup, such as the Antipodes Skin Brightening Finishing Powder. Swirl your biggest brush in the lid of the pot, then tap off the excess before swiping over your T-Zone, then use a smaller brush to apply directly over areas where you’ve covered up. I hope these little tips help you – and while I am yet to find the perfect skincare for preventing blemishes, these tricks are my saviour to covering up imperfections. I’d love to know your tips too! 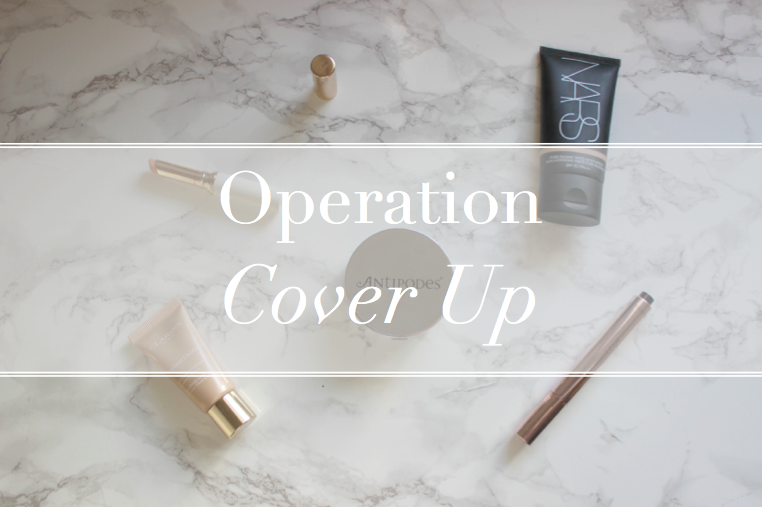 What are your tips for covering up?